Having written about Dragon Leatherworks often, I’d like to recommend as as a source of gifts for you mate. 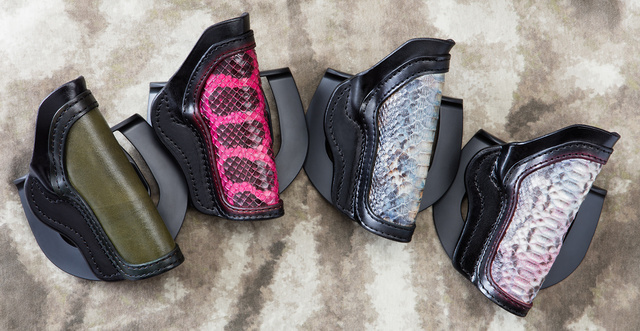 Since they make custom designs and can decorate or personalize the holsters just the way you want, it could make for a very unique and memorable gift. The only catch is: making and shipping one of a kind design takes time, so you’d want to have your order in this week. If time gets too short for the order, or you are not sure what your mate would want, you could get a gift certificate. This entry was posted in holster and tagged gift, leather. Bookmark the permalink.